Nails are an indicator of the overall condition of your health. All of us would like to sport clear and healthy nails. Nail fungus is a condition that affects many millions worldwide. What is essential is to identify the fungal attack and treat it appropriately. Though nail fungus infection is rarely disabling, it is unsightly and persistent. Toenail fungus is more common than fingernail infections. Since nail fungus condition grows slowly, timely diagnosis and treatment is necessary. Look at various treatment options for nail fungus. We also take a look at various home remedies for nail fungus. Nail fungus or Onychomycosis grows in the nail bed, where the nail meets the skin. Once the infection sets in, it is difficult to dislodge it. Changes noticed in the nails are brittleness, crumbling, discoloration and loss of luster and shine. Nail fungus is more likely to affect the toes than the fingernails. The area around the nails becomes red and irritated. The nails may appear dark yellow-brown or yellow-green. Debris gets trapped under the nail bed and the nail gets detached. Nails affected by fungus thicken and develop abnormal grooves, lines and holes. Nail fungus is contagious but does not spread very easily. It tends to occur in people with weakened immune systems. It is essential to get the nail fungal attack diagnosed by a doctor since it can be mistaken for other bacterial infections. Warm and moist environment is ideal for fungus to thrive and grow. If you are affected by this condition, you may notice that the infected nail is separated from the nail bed. Nail fungus affects older people whose skin is thickening, Nail fungus also tends to affect men more than women and those with a family history of this infection. Those suffering from diabetes, circulatory problems or weakened immune system are at a higher risk of contracting nail fungus. Treatment for nail fungus depends on the severity and type of fungal infection. For milder cases of nail fungus, topical creams such as Nizoral, Lotrimin or Lamisil will suffice. Many a time, topical medication is unable to penetrate the hard keratin layer of the nail to attack the fungus. Unfortunately, anti-fungal creams applied to the nail do not penetrate the nail bed to kill the fungus at its source and are generally ineffective. For more serious infections of nail fungus, oral medication treatment may be necessary. Lamisil is a common treatment for nail fungus. Most anti-fungal drugs need to be taken for a long stretch of time so as to eradicate the infection. 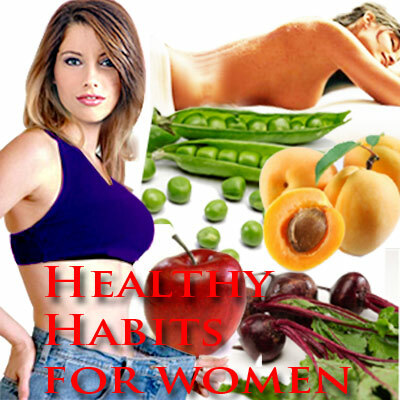 But keep your physician informed if you are taking this medication. Research at the American Academy of Dermatology shows that if the nail is softened with 40% urea gel and then a layer of anti-fungal medication ciclopirox is applied to tackle the fungus. Tea tree oil has been ascribed with anti-fungal properties and is widely used in the treatment of nail fungus. Since it is a persistent condition, even after successful treatment nail fungus is known to resurface. Surgical treatment and nail debridement (removing debris and filing down thickened sections of the diseased nail) is another option for treating nail fungus. Few small precautions taken at home will help in keeping nail fungus at bay. Ensure that you keep your feet cool and dry. Choose socks made of cotton, wool or other absorbent material. If you notice any symptoms of foot nail fungus, get it examined by a doctor at once. 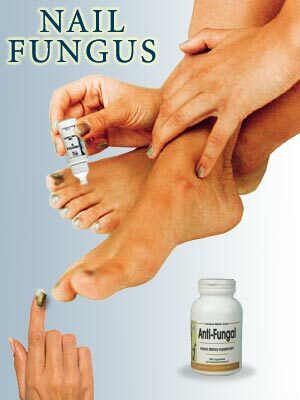 If you experience fungal infection in any other part of your body, you might be susceptible to nail fungus too. Certain areas such as bathroom floors, locker rooms and gyms are particularly dense with fungal spores. Ensure proper hygiene and footwear while walking in these locations. A vital home remedy for those whose feet swear a lot is to use medicated anti-fungal powder. The area between the toes is most vulnerable to fungus. Scrub away dead and dry skin that is most susceptible to fungal attack. Moisturize your feet regularly to prevent cracking skin that lets fungus enter. Use an orange stick to clean under the nail tip. Avoid cutting the nails too short so as to cause cuts and tears. Treat Athlete's foot regularly as it can progressively lead to a condition of toenail fungus. Home remedies for treating nail fungus can include topical lotions containing tea tree oil and aloe vera. While some people swear by daily application of Vicks Vaporub or Campho-Phenique, there has been on evidence to prove its efficacy in curing nail fungus.